With Reebok Women's RB437 Composite Toe Nubuck Tyak Boots, you can confidently negotiate any trail, hill, or other terrain without compromising on comfort and support. And of course, the ASTM composite toes protect you from falling objects, whether it's a boulder o ... (see full details) (see specifications) #RBKRB437. With Reebok Women's RB437 Composite Toe Nubuck Tyak Boots, you can confidently negotiate any trail, hill, or other terrain without compromising on comfort and support. And of course, the ASTM composite toes protect you from falling objects, whether it's a boulder on the hill or a package at work. These beautiful hiking boots have tan, nubuck leather covering their exterior. This type of leather feels like suede, but is much stronger and thicker. So these Reebok boots are appealing to both the eye and the touch, but can still put up a fight when you’re out for a hike and the terrain is unfriendly. On the inside, Reebok outfitted these Tyak boots with a nylon mesh, which is renowned for its durability. Because this type of nylon is melted, not woven, it lends superior strength and security to its wearer. It is also resistant to bacteria. This women's footwear comes with removable F2A dual-density polyurethane cushion inserts, further allowing you to air these tan boots out and prevent fungus and bacteria from growing. All these features rest on the dual-density soles of these composite toe boots, which consist of rubber bottoms and EVA midsoles. Their rubber bottoms make these safety toe boots slip-resistant and protect it from abrasions. With EVA midsoles, you can plan on hiking longer as your foot will have a harder time becoming fatigued. The work boots’ heel airbag will also mean steep climbs won’t wreak havoc on that portion of your feet the next day. Lastly, its wrap-around shank stabilizers give you arch support throughout the step. If you enjoy hiking, but not pain and discomfort, give the Reebok Women's RB437 Composite Toe Nubuck Tyak Slip-Resistant Boots a try. Comfortable, durable so far. They do tend to discolor at the "wear" points where movement causes the shoe to bend etc. If you can deal with having a "multi-colored" shoe then this is a very comfortable shoe. 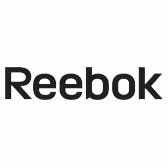 Reebok Boots: Women's RB437 Composite Toe Nubuck Tyak Hiking Boots is being added to your cart.